I've been wanting to try the argan oil hair treatments for a long time now, but with the hefty price tag of anywhere between £10-£20 i was a little put off. Whilst shopping with my mum the other day i noticed this in Aldi. 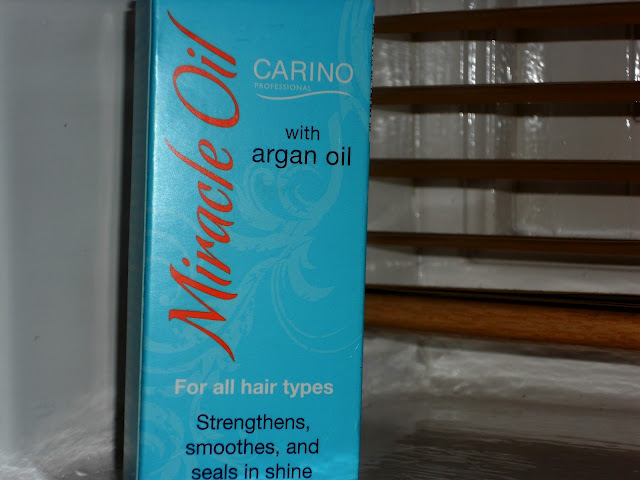 Carino Professional 'Miracle Oil' with argan oil for the bargain price of £3.99! It's a 50ml bottle, which in my opinion, depending on how frequent you use it, could last you anywhere between 2-3 months. 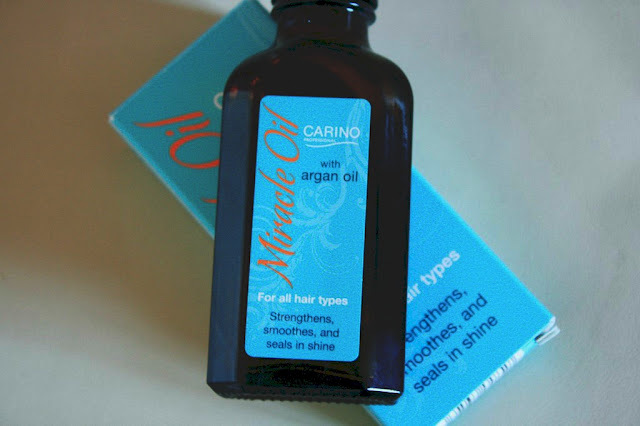 The oil claims to strengthen, smooth and seal in shine and states it is for all hair types. The packaging recommends you use as a leaving in conditioner treatment, but i prefer to use it on my hair when i've dried/styled it. At first the product seems to feel like it would leave your hair feeling greasy but i can safely say it didn't one bit and instead left my hair feeling smooth and silky. And thats just after one use! Overall i would definitely recommend this product as a cheaper alternative as it does just the job! I use it and I love it!! it's such a good product!